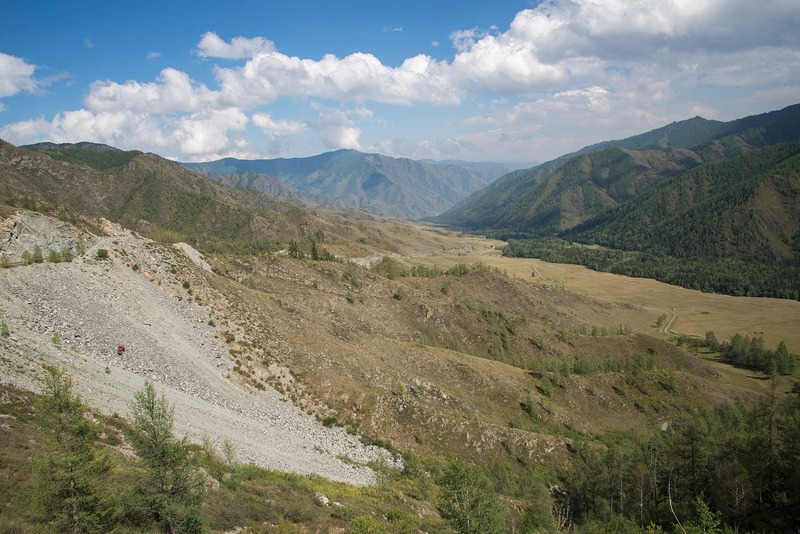 The Chike-Taman is the second pass to go up when you travel through Altai in the direction of Mongolia. It is not the highest one in the Chuyskiy tract, but is absolutely the most beautiful one. The height of the Chike-Taman pass is 1460 meters. Obviously, it is a steep road on the pass, and many turns are very short, when you look aside, you see you are driving on the edge of high cliffs, all this combined will take your breath away. Before 1984 the road on the Chike-Taman was one-way, with only a few place to pass each other. In the past, the drivers were constantly signaling while driving on the pass, so that other drivers were warned for an oncoming car beforehand and park in the crossing pocket to wait for the other driver to pass. 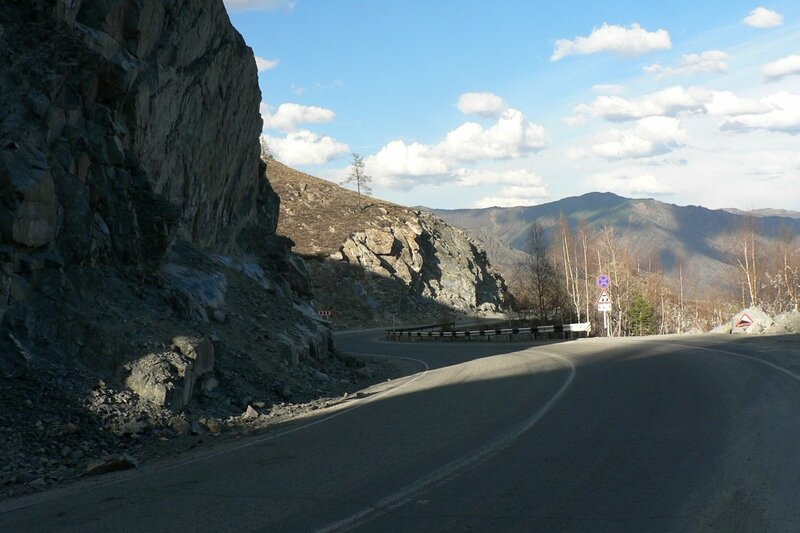 In 1984 the construction of the new road was finished and now it is a two-sided road. When we follow the new road, parts of the old road are still visible. The Chike-Taman is the second pass to go up. It is not the highest one in the Chuyskiy tract, but is absolutely the most beautiful one. The height of the Chike-Taman pass is 1460 meters. Obviously, it is a steep road on the pass, and many turns are very short, when you look aside, you see you are driving on the edge of high cliffs, all this combined will take your breath away.